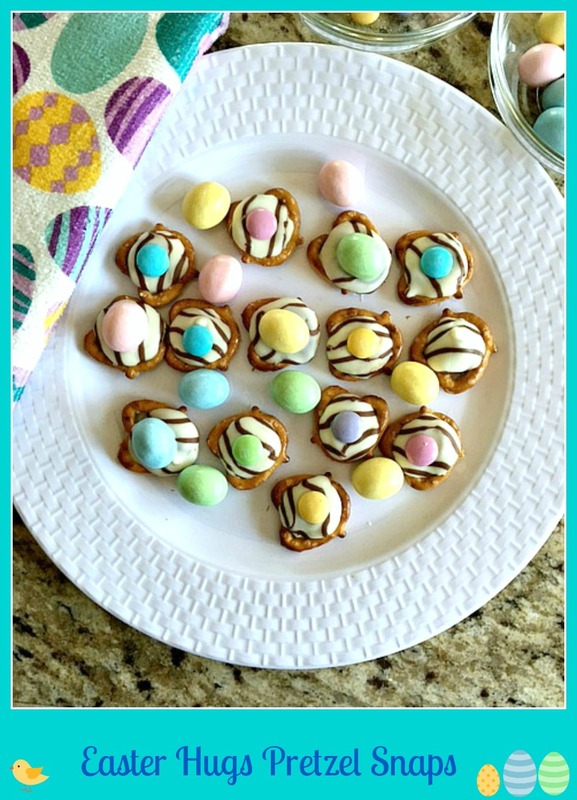 Easter Hugs Pretzel Snaps – For a fun food craft you can do with the kids, check this recipe out. Great for gift giving too. Enjoy the sweet and salty deliciousness! What I really like about this recipe is that it’s so versatile. 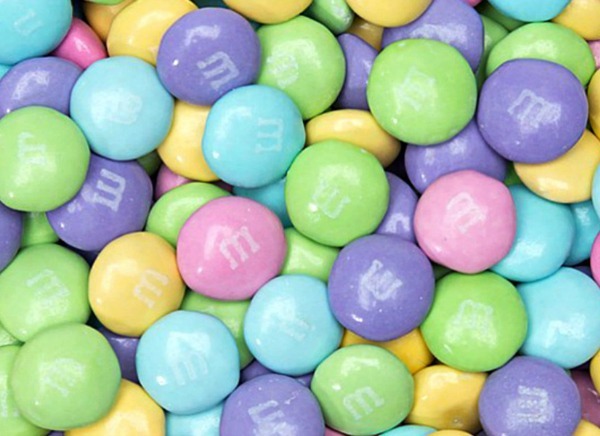 Every holiday I change around the color of the M&Ms. Halloween, Christmas and Easter. 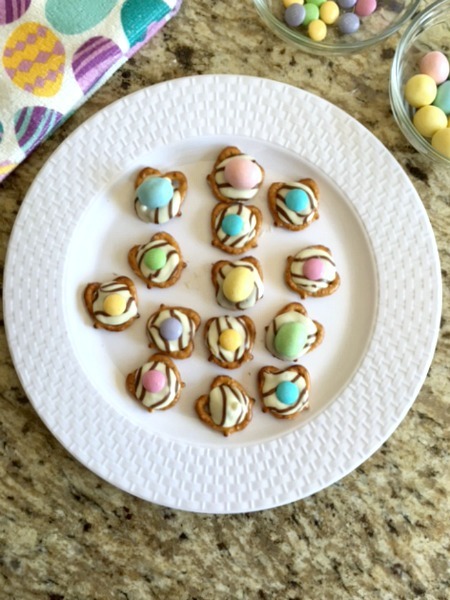 Even during the year, we make these with regular colored candies. 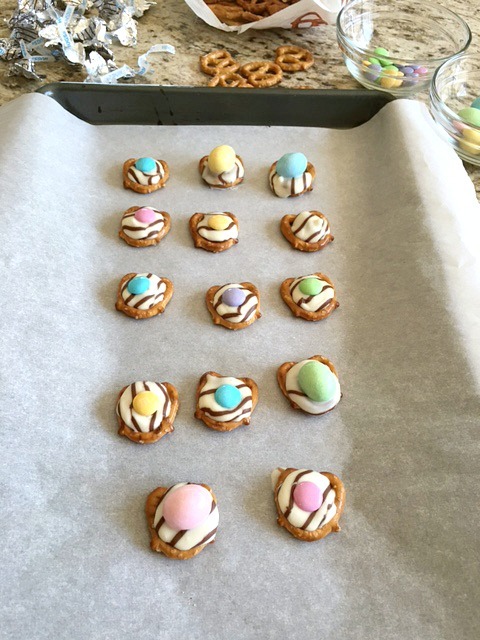 The kids love helping me with this recipe. 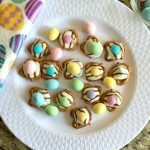 Have fun and enjoy a few, they are so yummy! Ingredients: You can decide on the amounts. Here’s the three simple ingredients to get started. Have fun! Preheat oven to 200 degrees. Have the M&Ms ready in a bowl, set aside. 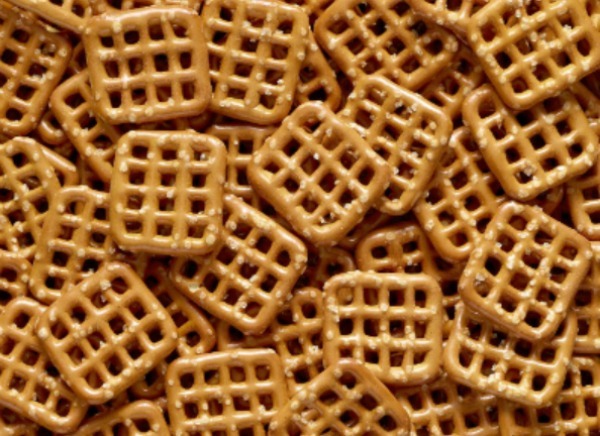 Lay out as many pretzels as you plan on making. Unwrap Hugs and place in the middle of each pretzel. Place in oven for about 3 to 4 minutes. 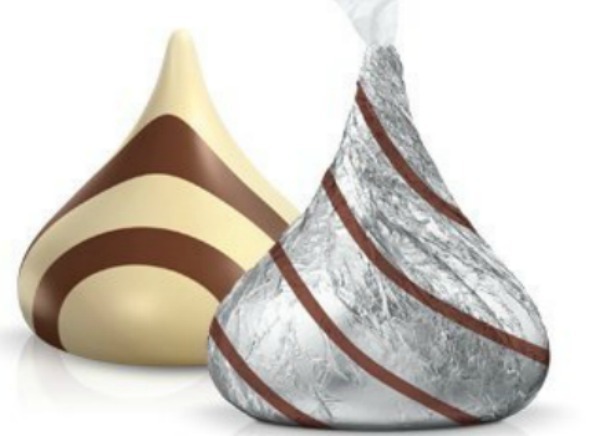 Take out and quickly place one candy on each Hug. Place in fridge for about 10 minutes to set up. 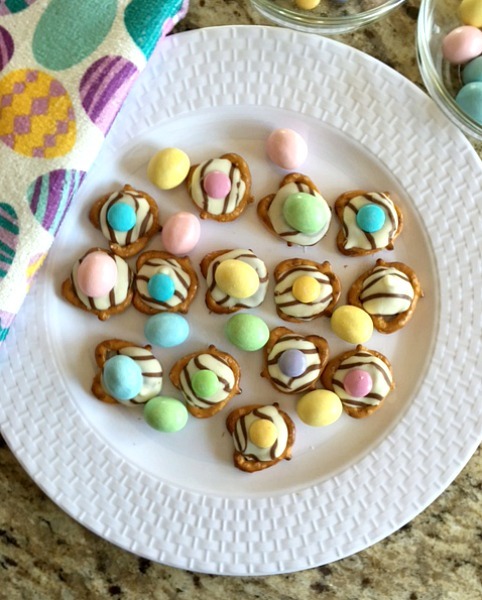 Easter Hugs Pretzel Snaps - Easiest Recipe Ever! 1.Preheat oven to 200 degrees. Have the M&Ms ready in a bowl, set aside. 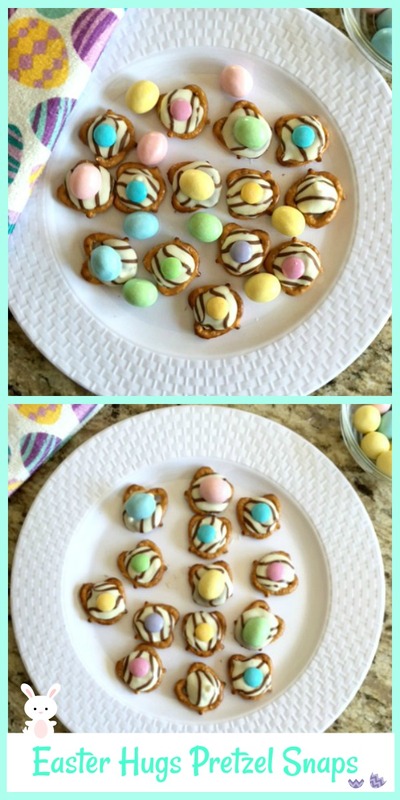 3.Lay out as many pretzels as you plan on making. 4.Unwrap Hugs and place in the middle of each pretzel. 5.Place in oven for about 3 to 4 minutes. 6.Take out and quickly place one candy on each Hug. 7.Place in fridge for about 10 minutes to set up. Enjoy!